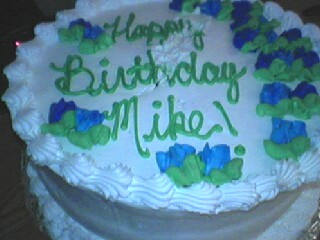 Brown Brown: Happy Birthday, Mike! 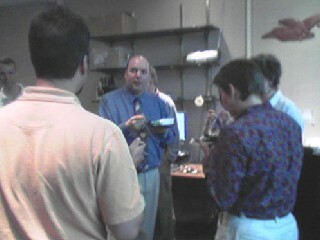 It was my Boss' birthday yesterday, and since he wasn't around, we celebrated it today. Once again, Diane's daughter made the cake and it was delicious. Thanks Diane.